The accident happened during a ground maintenance engine run. Four airmen injured. 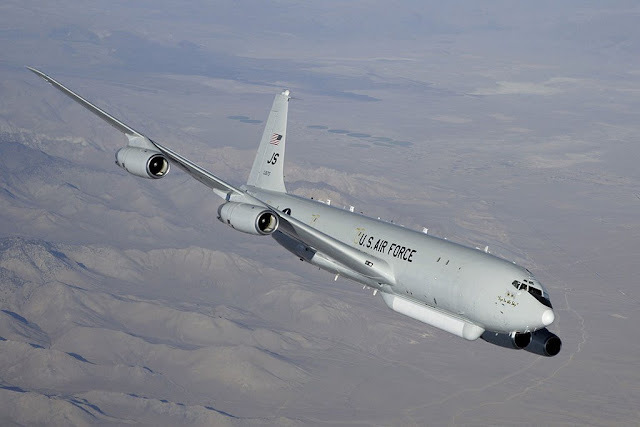 During a ground maintenance operations engine run, an E-8C Joint Surveillance Target Attack Radar System (JSTARS) engine failed, spreading debris across parking areas and caused damage to four other aircraft in the fleet. According to airforcetimes.com, it happened at Robinson Air Force Base, Georgia, on December 19. Staff from the 461st and 116th Air Control Wings, who operate and maintain the JSTARS fleet, have since worked to restore three of the planes to mission ready status and as clear. The fourth aircraft is expected to return to mission ready status after the holiday. As a precaution, four Airmen were checked out by medical staff and released. No major injuries were reported from the incident. A Safety Investigation Board is scheduled to arrive at Robins Air Force Base on Thursday, Dec. 28 to determine the cause of the engine mishap. The E-8C is an airborne battle management, command and control, intelligence, surveillance and reconnaissance platform. The E-8C is a modified Boeing 707-300 series commercial airframe extensively remanufactured and modified with the radar, communications, operations and control subsystems required to perform its operational mission. Its primary mission is to provide ground surveillance to support attack operations and targeting. The JSTARS fleet consists of 16 E-8C aircraft and one E-8A trainer. Team JSTARS through the 116th ACW is the only unit that operates the E-8C and the Joint STARS mission.